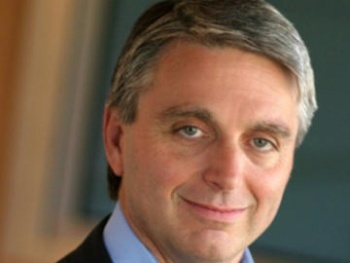 EA big boss John Riccitiello thinks that there are more than a billion people playing games all across the world, and that the emergence of online gaming has played a huge part in rapidly expanding that market. In case you didn't get the memo around the time last month when Modern Warfare 2 smashed pretty much every single entertainment record in the book, gaming is a pretty big deal these days. But while mainstream games are more popular than ever, the number of people playing games skyrockets when you count all the stay-at-home moms playing Peggle, or the millions playing FarmVille and Mafia Wars on facebook. In fact, in an interview with PBS, EA CEO John Riccitiello said that he was being conservative with an estimate that there were a billion gamers in the world today. "With the advent of the new digital media landscape, we've seen a torrent of new consumers. Conservatively, if I add up mobile users who play games, social network people who play games, people who play PC games online in Asia, there's at least a billion people gaming today ... So we have five times the audience we've ever had, and it's growing in leaps and bounds." This isn't necessarily at odds with the prediction Riccitiello made back in June, where he expected there would be a billion gamers "in a year or two," it just means that perhaps it came a little more quickly than expected. Naturally, as a businessman Riccitiello was quick to point to the fact that his company was moving to position itself as a giant in the digital space - scooping up casual game maker Playfish in November for $300 million - which is where he expects the industry to see the most growth, saying last week that the digital space would be as "important as, and over time maybe more important than, our packaged goods business." In fact, he had another billionaire statistic to throw at the PBS interviewer: "We've hosted over a billion online games. That's a staggering number. I mean, it's the productivity of a small nation wrapped up in just EA Sports online." It's a little strange to think that there are more gamers in the world than there are people living in every country but India and China, but ... it's also kind of cool, too.